Showtime has knocked out several websites who were attempting to pirate Saturday's highly anticipated fight between Floyd Mayweather Jr. and Conor McGregor taking place at the T-Mobile Arena in Las Vegas. More than 40 URLs that advertised an unauthorized stream of the bout have been suspended and will remain offline until 10 a.m. Monday after a California federal judge granted the network's request for a temporary restraining order. "Among other things, Defendants’ threatened infringement would strip Plaintiff of the critical right of first transmission and publication of an extremely valuable live sporting event, would interfere with Plaintiff’s relationships with third parties, is likely to damage Plaintiff’s goodwill among consumers, and will deprive Plaintiff of revenue that will be difficult or impossible to calculate, but is likely far in excess of any amount that Defendants could repay to Plaintiff in damages even if the amount could be calculated," writes U.S. District Judge Andre Birotte. The operators of the sites are barred from making the fight available for viewing by hosting, streaming or otherwise distributing it, otherwise infringing in Showtime's copyright in the event broadcast and transferring the websites to another registrar or registrant. Birotte's order also enjoins the defendants from forming any new entities to circumvent the TRO. Floyd Mayweather vs. Conor McGregor is a 12-round super welterweight matchup that pits the legendary boxer Mayweather against the all-time MMA great McGregor in the main event of an unprecedented four-fight pay-per-view boxing event. Mayweather vs. McGregor will take place Saturday, Aug. 26 at 9 p.m. ET/6 p.m. PT at T-Mobile Arena in Las Vegas. 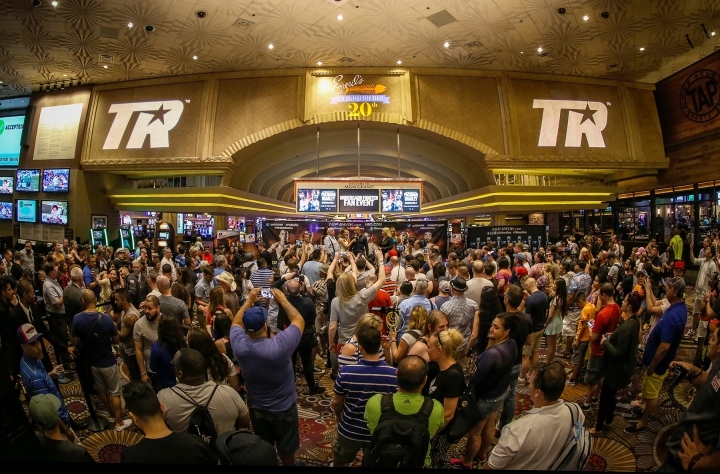 The event is produced and distributed live by SHOWTIME PPV, promoted by Mayweather Promotions and sponsored by Corona. Coverage of the Prelims will begin on FOX and FOX Deportes at 6 p.m. ET/3 p.m. PT.